Introducing the next generation of ZERØGRAND. The 3.ZERØGRAND Chukka Boot features a crafted exoskeletal upper with seamless bonded nylon for must-feel zonal support. Tongue and Achilles padding provide ready-to-wear interior comfort while Grand.ØS energy foam in the midsole allows you to take on longer days with ease. The only Cole haan boot that's actually comfortable for me. Perfect for my narrow feet. Make more like this, comfortable and like sneakers. Awesome shoe and good looking too! This is the best thing I've bought last year for myself. It's very comfortable and stylish. This is highly recommended! A must have in your shoe collection!!!! Amazing shoe!!!!! I have over 16 pair of Cole Haan shoes and chukkas. These are by far my favorite pair!! Fit is spot on and feel great! I wear them all day with jeans, suits, or slacks. They are awesome!! Much more comfort then the other pairs I have. And extremely light weight!!! These shoes are extremely lightweight, extremely flexabile and very cushioned for easy all day wear comfort. Great look and even better feel! It’s nice addition to my fall wardrobe. The sweetest looking boots ever. 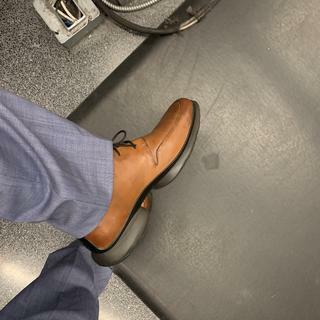 I liked the .2 Zerogrands and I currently have the grandevolutions, so I thought Id give this shoe a try and the chukka boots are always super comfy and I stand a lot during work so its a major plus. I been looking for a while this boots, because my work require to walk a lot at the University of Miami, supporting IT services. I think this boots will fit my daily walk around the campus. my work consist of prolong standing and have found that this new zerogrand sole has been beneficial to my posture. I was looking for a nice comfortable boot I could wear with slacks or jeans. BEST ANSWER: This style is not waterproof but several of the other new boots are, they are however the most comfortable boot I have ever owned and look great! Interesting enough. We just had quite a bit of rain where I live and they handled the wetness pretty well. Wouldn't say they are water proof as the water will leave spots but they dry just fine with no lasting color issues. Not waterproof by design, I did apply a treatment to mine and it didn't change the color or sheen of the footwear. Yes they are! Very good shoe and I would highly recommend it to friends and family. Will you come out with larger sizes in this boot, size 14 maybe? BEST ANSWER: This style was manufactured up to size 13 only. BEST ANSWER: Since this is a new style for us, we don't have too much customer feedback on fit yet. Take a look at the customer reviews over the next few days/weeks to see what people think - or take a leap of faith and just order your usual shoe size - returns are free!